JOHNSTOWN, PA, May 26, 2016—The Dollar General Literacy Foundation has awarded Goodwill of the Southern Alleghenies a $9,000 grant to support adult literacy. This local grant award is part of over $7.1 million in grants awarded to more than 900 schools, nonprofits and organizations across the 43 states that Dollar General serves. “Goodwill’s mission is to empower individuals and families with employment barriers to achieve their fullest potential through work services. Through this grant, we will be able to increase the number of individuals we can serve whose common barrier is a lack of employment due to a lack of a high school diploma/GED. We sincerely thank the Dollar General Literacy Foundation for its support,” stated Bradley R. Burger, Goodwill’s President & CEO. Goodwill’s services include GED/adult literacy instruction, tutoring, customized academic learning, application guidance for the GED test, and job placement assistance once individuals obtain their GEDs. The Dollar General Literacy Foundation is proud to support initiatives that help others improve their lives through literacy and education. Since its inception in 1993, the Dollar General Literacy Foundation has awarded more than $120 million in grants to nonprofit organizations, helping more than 7.3 million individuals take their first steps toward literacy or continued education. The Dollar General Literacy Foundation is proud to support initiatives that help others improve their lives through literacy and education as part of the company’s mission of Serving Others for over 20 years. Since its inception in 1993, the Dollar General Literacy Foundation has awarded more than $120 million in grants to nonprofit organizations, helping more than 7.3 million individuals take their first steps toward literacy or continued education. For more information about the Dollar General Literacy Foundation and its grant programs, visit www.dgliteracy.org. 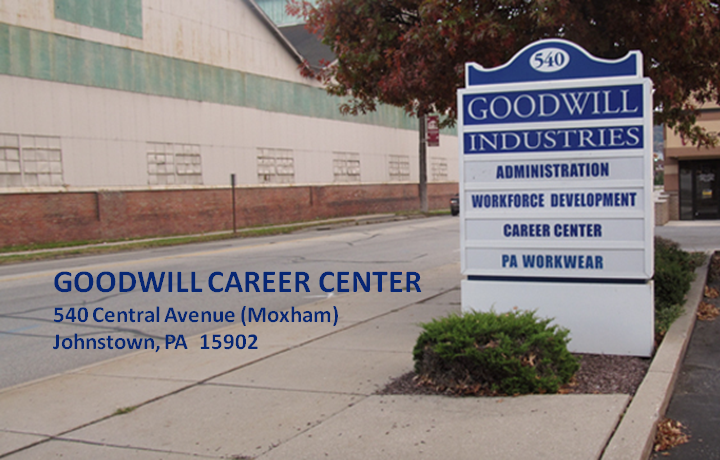 Goodwill Industries of the Conemaugh Valley (GICV), Inc. is an independent 501(c)(3) nonprofit organization established in 1962 to empower individuals and families with employment barriers to achieve their fullest potential in the community through work services. Headquartered in Johnstown, Pennsylvania, GICV serves individuals with disabilities and disadvantages, dislocated workers, youth, and other job seekers throughout south central Pennsylvania in the counties of Bedford, Blair, Cambria, Huntingdon, Indiana, Somerset and a portion of Westmoreland by providing education and career services as well as job placement and postemployment supports. GICV is a community-based member organization of Goodwill Industries International, a 179-member network in the U.S., Canada, and 13 other countries. Learn more at www.gicv.org.